Each year, clinicians, executives, vendors and other healthcare professionals — more than 40,000 of them from around the world — come together at the Healthcare Information and Management Systems Society’s (HIMSS) Annual Conference & Exhibition to talk all things health IT. This year’s event, which took place February 19-23 in Orlando, offered in-depth discussion about the state of the healthcare industry, and the impact that the transition to value-based care, new technologies entering the market, and a new administration will have on it. SourceMed’s Vice President of Advisory Services, Walter Groszewski, was there and answered a few questions to give us an insider’s view of HIMSS17. What were the main themes you saw and heard around the event? There were clearly a few pervasive themes throughout the conference. The main theme was value-based payments and how providers need to reevaluate how they will operate in this new world. There was a big fear of operating at risk. Some of the experts suggested providers go slow and start with shared savings. The next big theme was around population health and analytics. IBM took analytics to the next level with artificial intelligence and cognitive computing, which seems far from where most providers are ready to engage. There was a lot of discussion about electronic medical records (EMRs) and analytics. EMRs generally have been developed to address a specific patient encounter and house data from that encounter for the institution and patient. There is also a clear need to use that data to complement and assist the clinician in making decisions. Patient engagement was also a big topic along with security. Finally connectivity, which has been a theme for many years, and we continue to talk about how to establish a longitudinal record across all continuums of care to enable the analytics and clinical decision making. Without that, the rest is not achievable. 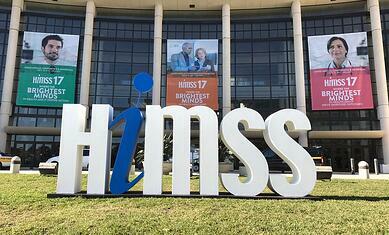 I think HIMSS again set a new attendance record this year with attendees in the 45,000 range. The show floor seemed more crowded than in the past. Some vendors had gone bigger on the exhibit floor, especially IBM who was clearly making a statement about its commitment to healthcare with two Watson Health booths, an IBM Merge Booth, and an IBM Truven Booth, in addition to several booths in the connectivity area. The other things that struck me, having been going to HIMSS since around 1997, was the volume of companies. There were numerous companies that I had never heard of. It’s no wonder providers are confused about making the right choice to solve their business and clinical challenges. What themes were different from previous HIMSS events? A major new topic this year was fear of the unknown. The new administration is looking to undo a good deal of health-related initiatives that were started by past administrations. That is fine, but investment dollars associated with some of those programs, which are targeted to providers, may go away, which will slow industry transformation. Some very senior government officials from the Bush and Obama administrations suggested that there may be a slowdown in health IT spending due to this uncertainty. One thing most folks felt confident about however, is the transformation from fee-for-service to value-based payments is necessary. Last year there was discussion about value-based payments, but not to the extent that I witnessed this year. Absolutely the best session I attended was led by Harold Miller, CEO of the Center for Healthcare Quality and Payment Reform. Harold talked about designing and implementing a successful alternate payment model transformation. His presentation clearly outlined a very practical approach to get to value-based payments – one where physicians, hospitals, payers, and consumers all win. It all starts with setting the appropriate goals. He discussed the success of meaningful use, and whether it had the right goal. 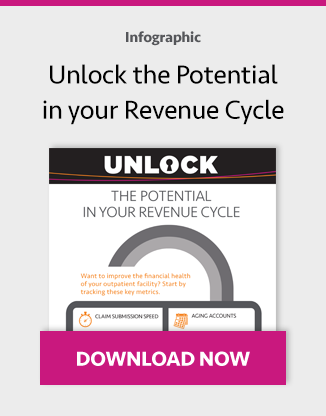 Clearly, it drove the adoption of EMRs, but if you look at the ROI, it was a challenge for some….the costs far outweighed the payment benefits. What are the implications for ASCs and what should they do to prepare? As always, there was talk about rightsizing the care setting. 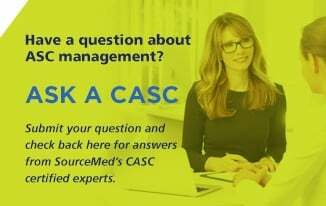 As it relates to ASCs and all other post-acute participants, they need to be very aware of changes in legislation and the organizations that exist to help with information. I think the big focus will be on partnerships, collaboration, and ultimately information sharing. There will be a value-based care component and ASCs need to start by looking at shared savings scenarios before migrating to a risk-based relationship. These organizations are more focused on the hospital and the physician right now, but there is good information, case studies and white papers. HIMSS and ASCA have a focus in these areas and should also be monitored for insights. What was the biggest surprise that you learned there? The biggest surprise was the keynote by IBM’s Ginni Rometty. Ginni is an articulate and exciting speaker and really grabbed the attention of the crowd. The surprise was that the majority of her talk was a commercial for IBM Watson Health. Granted, I fully expected Ginni would address the innovations that are being achieved working with their clients and Watson, but I also hoped to hear her perspective on how IBM as a large company is dealing with the new age of healthcare, and how her peers are dealing with industry changes. She has visibility into the old White House and the new White House and that insight would have been incredible to hear. While it was a bit of a commercial since she used IBM personalized medicine and Watson as examples, she did discuss where she felt healthcare institutions will need to make decisions on the platforms mentioned above, whether it be IBM or another solution provider. She also talked about how she felt blockchain technology would be the underpinning from a technology perspective, and how she leveraged blockchain technology to transform IBM’s internal financial systems. Ginni made some excellent points. Technology is there to assist clinicians as a tool, not replace them. Because of that, there needs to be a great deal of transparency in the data. Clinicians need to understand where the data came from and the specific analytics that were used to help make the observations. Without that Ginni felt there will be no adoption. She also felt folks will need to make a decision on an analytics platform, which she took to the next level with cognitive computing. This is not only looking back at data and predicting from past data, but using the data to learn and evolve. Finally, everything needs to be secure. One last point that Ginni made was that she believes this is the beginning of a new era in healthcare. I believe this is a key point. As we think about where we are and where we need to go, everything is about moving from fee-for-service to value-based care. This won’t happen overnight, but rather will be a journey over the years. We can’t give up if something doesn’t work; we need to keep looking for new models that help get us through this transition and establish a new era for healthcare in the United States. In my opinion, no company is on the bleeding edge of innovation like IBM. They are doing things with clients that define where healthcare eventually needs to go. Unfortunately, these projects currently remain the domain of the large academic medical centers and do not represent where the healthcare masses are today. What are your main takeaways from HIMSS17? I always say this: It’s about progress, not perfection. We have a long way to go with many unknowns, but we have made progress and must continue to build on that and innovate until we achieve the change that is required in this country.